Lone Star Cryogenics offers repair and re-manufacture of cryogenic vessels and related components utilized in all aspects of the cryogenic industry, specializing in: transport trailers, liquid cryogenic storage vessels and portable skidded or chassis mounted tanks. LSC performs services related to cryogenic vessels including: leak detection; perlite testing top off, and replacement; valve and plumbing repairs and upgrades; and the repair and fabrication of pressure building coils. It is Lone Star Cryogenics’ goal to provide your company with a quality manufactured transport to meet your specific needs. LSC transports are not manufactured in an assembly line with a quota to be met at the end of each quarter. Instead, LSC transports are manufactured when the customer places an order, enabling LSC to provide your company with the right equipment to fit your needs, the service you deserve, and the quality and standards that you pay for. 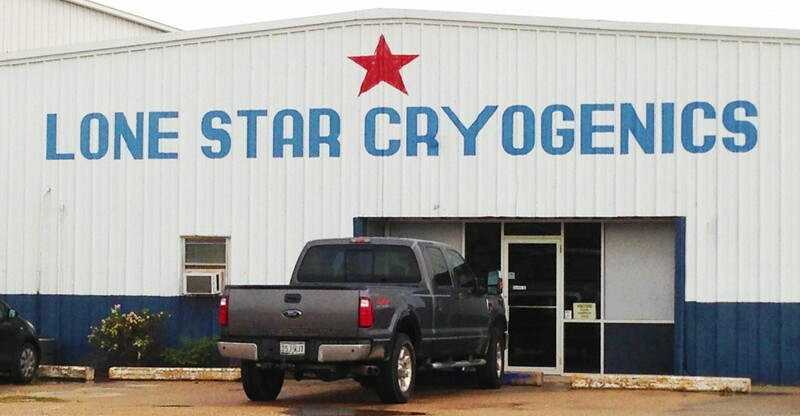 As a member of the National Trailer Dealers Association, Lone Star Cryogenics is committed to producing the highest quality products in the industry. LSC is constantly pursuing more efficient ways to make the field of cryogenic manufacturing and repair more convenient and cost-effective for our customers. For example: In order to save customers unnecessary trips to our facility, we will take detailed digital photographs of repairs in progress and send them to the client, enabling them to check on the status of repairs. LSC will instill confidence in our customers by tailoring each project to meet their individual needs. Bill started Lone Star Cryogenics in 2004 after 6 years with Hyrdra-Rig, an original equipment manufacturer specializing in oilfield-related coiled tubing equipment, and 7 years with Cryogenic Manufacturing & Repair (CMR). He joined the Hydra-Rig organization in 1991 working at the cryogenic facility located in Schulenburg, Texas. In 1993, he assumed all administrative, quality and inventory control responsibilities for the facility. Bill Wiebold is extremely knowledgeable in the field of cryogenics. He brings extensive experience in facility management, procurement, inventory control, and quality control. Many of his former employees at Hydra-Rig have rejoined him at LSC. His respected reputation with his co-workers and vendors played a key role in rebuilding the Hydra-Rig team under the new entity. Born and raised in Texas, Bill attended Texas A&M University. His wide range of experience in the field of cryogenics assures our customers that the product they receive will be of the highest quality at an affordable rate. We are proud of our capabilities. Our team of welders and fabricators are among the best in the industry. You can expect the highest level of quality and service from these professionals. The paint and blast department also has extensive years of experience in the application of industrial coatings. Our paint finishes have the quality and sheen of automotive finishes. We will meet and exceed your expectations, you can count on it.